Call me if you are seeking a Reverse Mortgage lender serving Greenville, SC. My name is George Stewart and I have been serving Greenville, SC as a Reverse Mortgage Consultant since 2002. I work for the Reverse Mortgage Division of First National Bank of PA in the Summerville office. I have been a Reverse Mortgage loan specialist for 15 years and cover the entire state of South Carolina including Greenville. Consultations are free and available by telephone or in person. 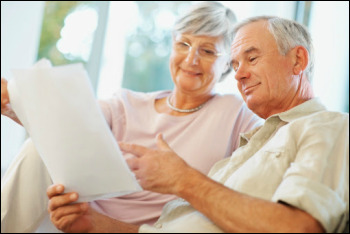 Experience should be a major consideration when choosing among reverse mortgage lenders in Greenville. ​I still make house calls-to Greenville or anywhere in South Carolina. Thank you for visiting my website. I hope that you will consider me when deciding between lenders in Greenville. Please contact me for more information or click the buttons below.